Our spinning bowl pendants are a convenient way to carry around a spinning bowl while you're on the go. The pendants have two sides. 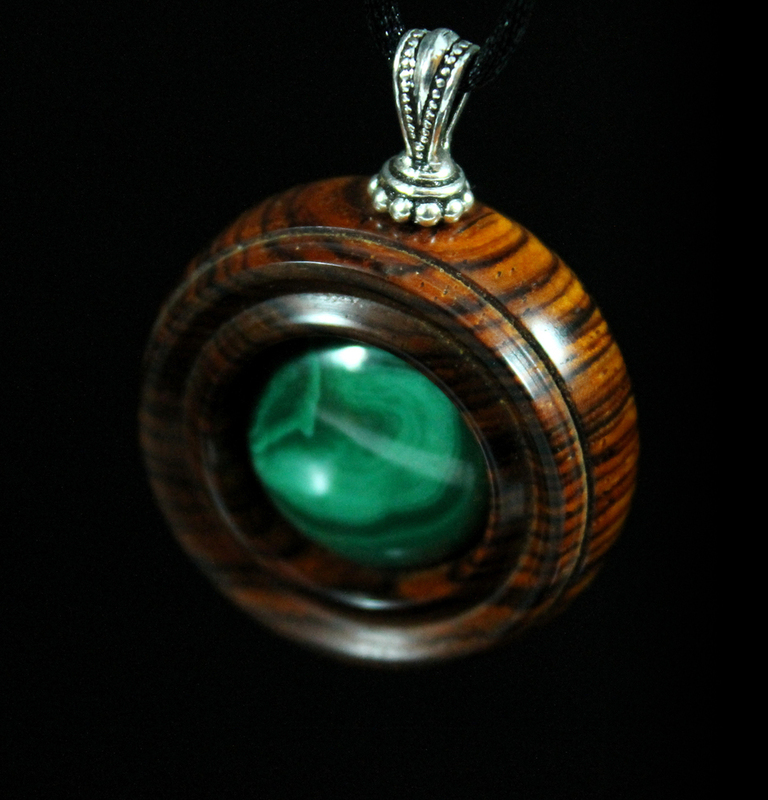 On the "display" side is typically a polished gemstone, Swarovski crystal, or cabochon that gives the pendant the appearance of an elegant piece of jewelry. On the other side is a curved, smooth spinning surface for support spindles. This side also has an o-ring that can be removed and placed in a groove on the display side to prevent the bowl from moving around on slippery surfaces. 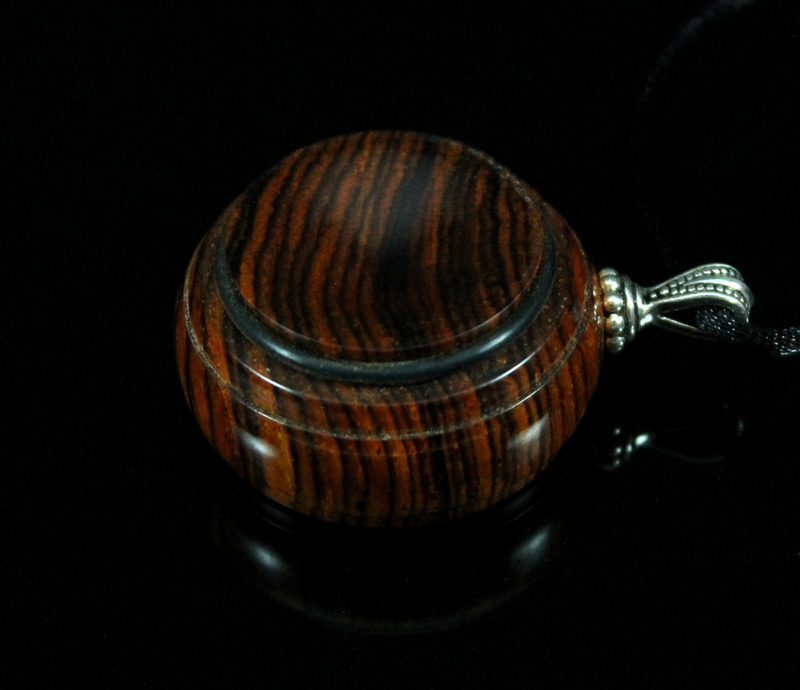 The pendants are approximately 1 3/8" - 1 1/2" in diameter and 5/8" thick, and come with an approximately 28" long satin cord. 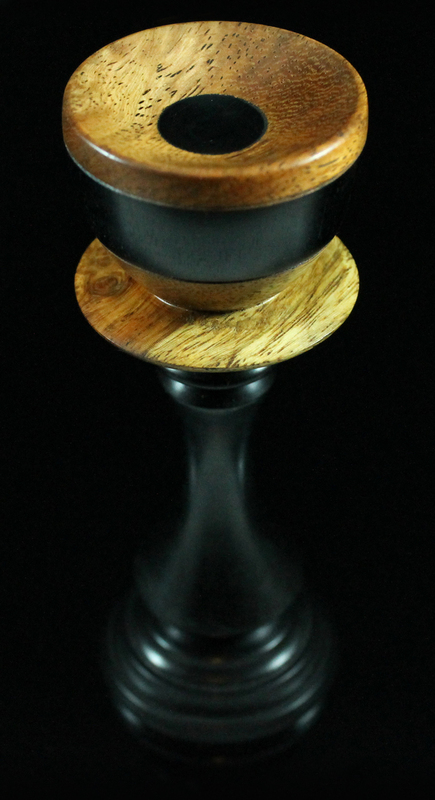 Our lap chalices are a great way to use your support spindles if you don't have a table available on which to place a bowl or prefer to spin in your lap. The base is shaped to fit securely between your legs, and most chalices can be placed on the floor or on a table as well. Chalices are available in a variety of designs, including the one pictured above to match the Teacup spindles. 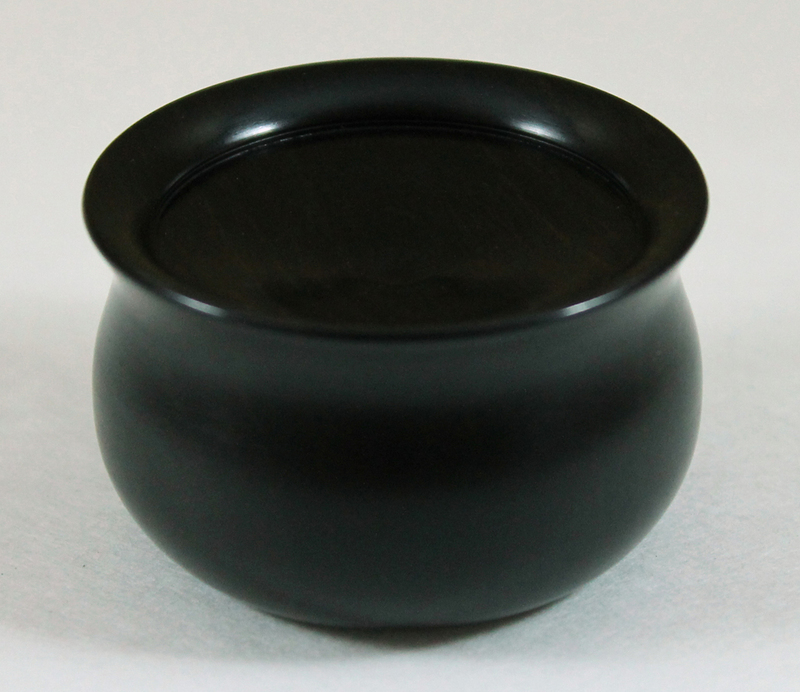 Cauldron bowls are usually made from ebony and are approximately 1 1/4" tall and 1 3/4" to 2" in diameter. There is a small ridge around the outside edge that allows it to hold a standard 1 1/2"-diameter tealight to also function as a candle holder. If using the bowl as a candle holder, be careful to not let any hot wax drip onto the bowl, which could ruin the spinning surface. 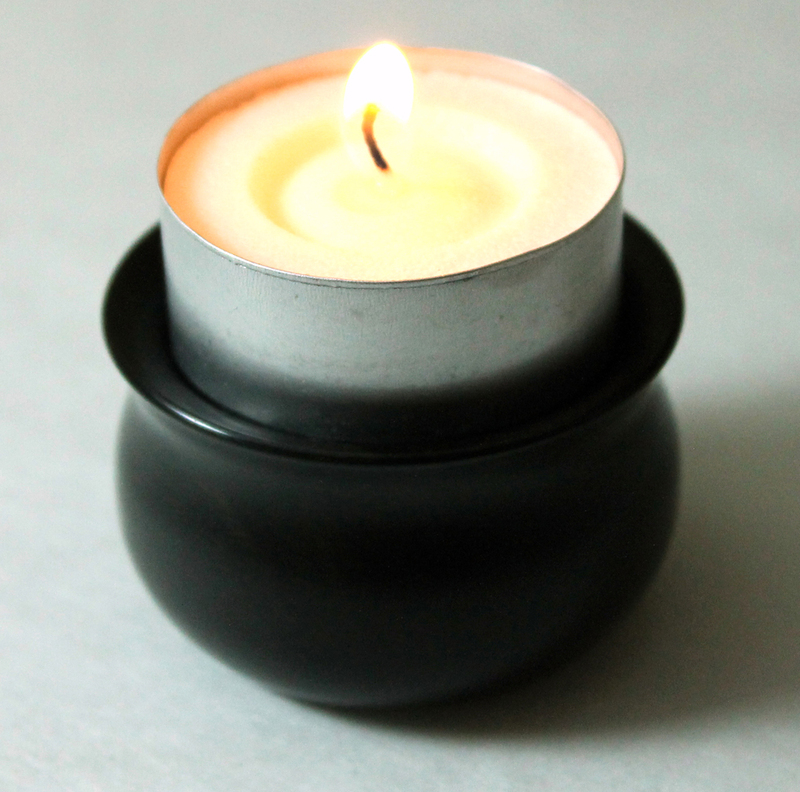 Tealights are designed to keep the melted wax within the surrounding metal cup. Other bowl designs are also available. If you have a specific design in mind, please send your request as a custom order.